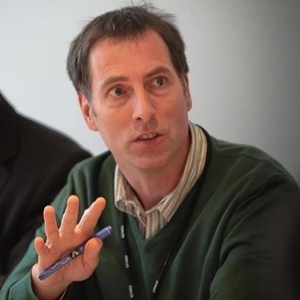 Chris has been with Oasis since 2007 and currently leads our work on social and environmental change. He is passionate about building our contribution to a more just and sustainable world. Having spent the last decade learning the art of intensive group processes and deep personal transformation, he has developed a unique approach to supporting change. This involves working with individuals and organisations to find purpose, create energy, and release potential. Chris brings this intuitive and impactful approach to his work with groups and to one-to-one development. People describe his work as “transformative”, “seeing beyond the surface and pressing all the right buttons”, even “subtle shamanism”. In the UK Chris has worked with business on sustainability, helped develop capacity in a wide range of voluntary organisations and has mentored current and future leaders. He also designs and facilitates programmes for social and environmental activists. Internationally he has mentored young change-makers in management education and held workshops in China, Europe and the US.